Sick of winter? Hop a flight to the opposite season. Whether you’re in the United States, Canada, or somewhere in Europe, if you’re currently anywhere in the Northern Hemisphere, there’s a solid chance that frigid winter temperatures have you craving a sunnier season. Summer, with its long days and warm evenings, is all about relaxing and enjoying life outdoors. 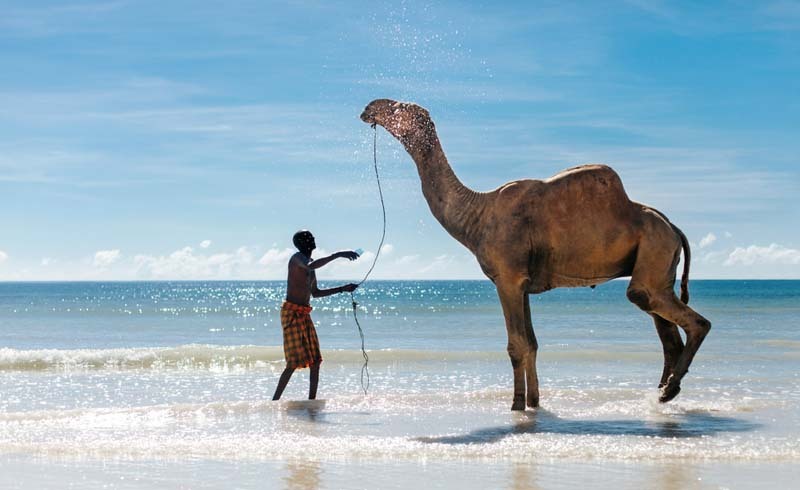 If you can’t wait until the summer solstice (June 21) to revel in warmer weather above the equator, here are five places in the Southern Hemisphere where you can escape winter’s dreary chill and travel straight to summertime. 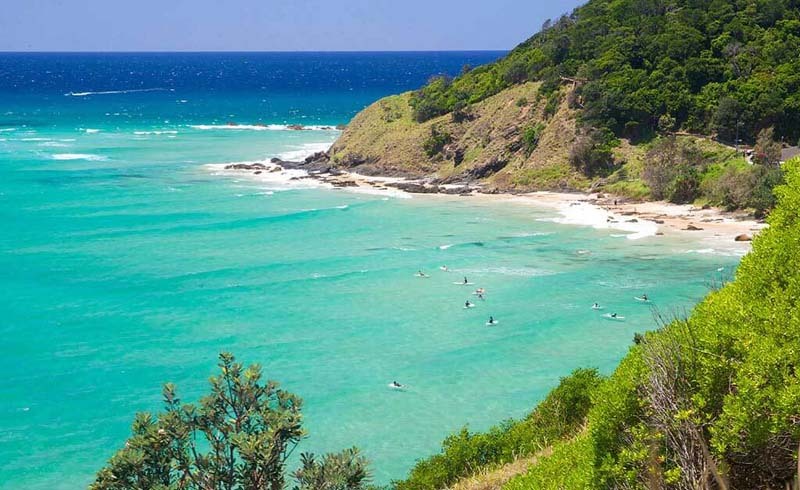 Byron Bay, famous for its laid-back atmosphere and surf culture, is a popular beach destination for Australian and international travelers alike. Surf, sun, and great coffee—what more could you want from a winter getaway? New South Wales, a southeastern Australian state known for its coastal cities and lush national parks, offers all of that and more. Visit the capital, Sydney, to explore neighborhoods bustling with boutique stores and trendy coffee shops. Areas such as Darlinghurst, Newtown, and Rozelle host to an array of vintage shops and eclectic bars, and formerly industrial neighborhoods such as Potts Point and Surry Hills offer some of the best eats in Sydney. Soak up the sun at the seaside spot of your choice in Sydney suburbs from North Bondi to Maroubra; the city boasts more than 100 beaches, not to mention some seriously unsurpassed oceanside swimming holes. North of Sydney (just over an hour’s flight), sits Byron Bay, a chilled-out coastal paradise surrounded by tropical farms, lush jungle, and white sand beaches. 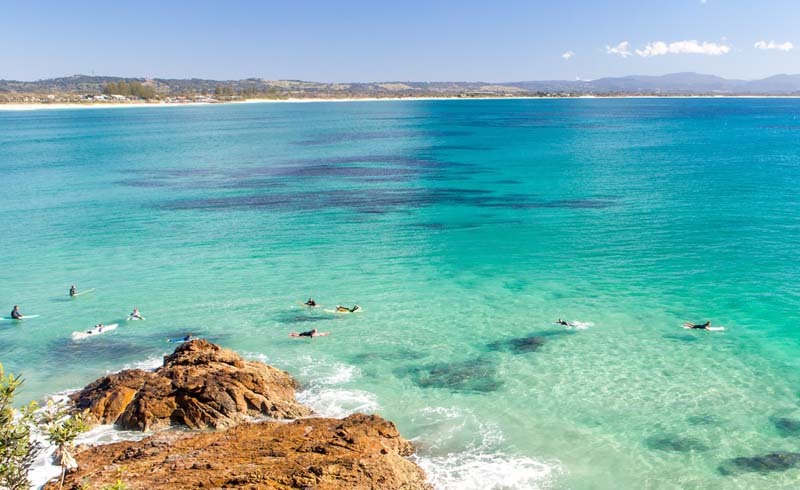 Though Byron Bay has been popular among surfers, backpackers, and hippie-types for years, the small beach town has recently attracted a new generation of esteemed artisans, chefs, and entrepreneurs to its shores. 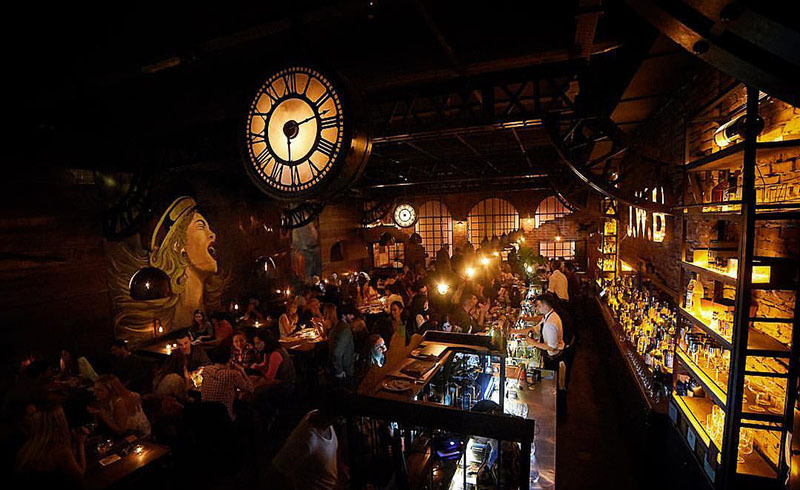 Buenos Aires nightlife is popular for its swanky speakeasies and lively late-night dance clubs. Summer temperatures in Argentina’s capital city are sweltering, which is why many Buenos Aires residents, known as porteños, clear out of the city during January and February. However, those who remain can be found sipping café con leche at sidewalk eateries or sharing maté with friends at green spaces across the city. Though summertime is quieter than usual in the sprawling Latin American city, peak porteño culture still heats up after the sun goes down. In hip neighborhoods such as San Telmo and Palermo, local dancers crowd the floors of traditional milongas (tango clubs); imaginative DJs mix cumbia, hip-hop, and house music in the city’s late-night dance clubs; and those “in the know” flock to speakeasy-style lounges such as Florería Atlántico, a cocktail and wine bar hidden beneath an unassuming flower shop in the upscale Retiro neighborhood. If partying isn’t your idea of a good time, don’t cross Argentina off your list just yet. Head south to the country’s Lake District, known for its spectacular hiking, well-established microbreweries, specialty chocolate shops, and traditional Argentine asado restaurants. Stay in San Carlos de Bariloche, a Swiss-style town on the shores of Lago Nahuel Huapi and its corresponding national park. From Bariloche, neighboring alpine towns are easily reachable by car or bus, and day hikes to nearby volcanoes, lakes, and glaciers are plentiful. 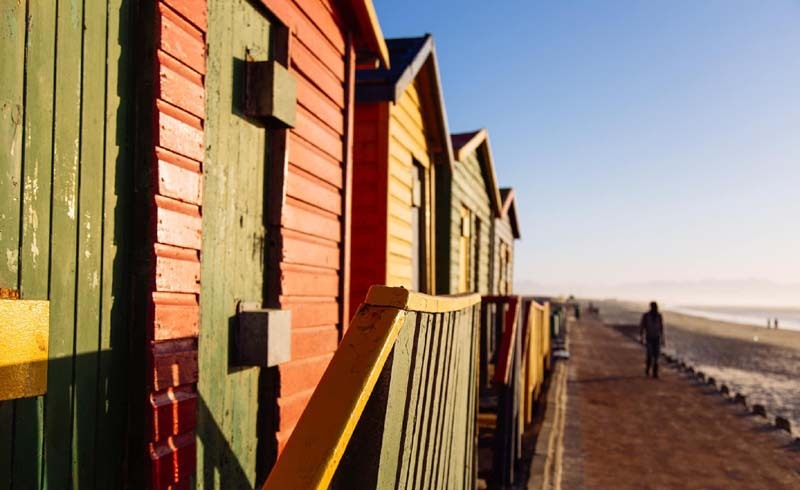 The colorful Muizenberg Beach Huts are located in St. James, about 30 minutes from Cape Town’s city center. South African cities such as Cape Town and Johannesburg offer more than Southern Hemisphere sun—in more recent years, South Africa has become a hub for fine art, fashion, food, and wine. After climbing Table Mountain and exploring the penguin-dotted coast in Cape Town, visit the esteemed Zeitz Museum of Contemporary Art. If you have time, head to the Cape’s vineyard-strewn mountains to spend a weekend sipping world-class vintages at estates in Stellenbosch, Franschhoek, and Paarl. Just a two-hour flight from Cape Town, Johannesburg also warrants a visit. What the inland city lacks in the beach department, it makes up for with its frenetic energy and cosmopolitan culture. During the day, soak up Joburg’s fashion scene in Newtown, a suburb located just over the city’s iconic Nelson Mandela Bridge. Then hit up the markets in Braamfontein and Maboneng, where the sounds of DJs playing Afrobeats from nearby rooftops set the background to your shopping experience. Any visit to Cape Town or Johannesburg should also include a guided township tour to learn more about apartheid and its lasting impact. New Zealand’s Great Walks pass through some of the country’s best scenery, from craggy coastlines to mountainous terrain. 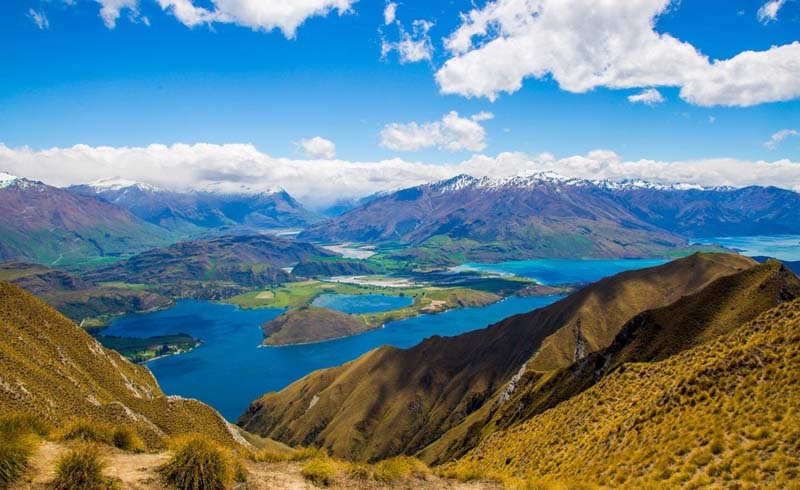 If you love adventure sports, stunning natural beauty, and world-class wine, New Zealand is the summer escape for you. January and February bring summer weather with little rainfall—perfect for exploring the country’s astonishing landscapes. On the North Island, explore craggy coves and cliffside beaches along the Coromandel Peninsula, located just across the gulf from Auckland, New Zealand’s largest city. (Waiheke Island, which produces world-class chardonnays and syrahs, is also a short ferry ride from Auckland.) Visit Rotorua’s geothermal landscape—with its boiling mud pools and gushing geysers—to learn more about the country’s indigenous Maori culture, and head to Tongariro National Park for an epic hike in Lord of the Rings territory. On the South Island, conquer a few of New Zealand’s epic long-distance hiking trails known as the Great Walks. The rugged Milford Track is famed for its waterfalls and fjords, and the Paparoa Track, a newly opened 34-mile hut-to-hut hiking route, traverses lush forests in Paparoa National Park on the island’s western coast. After your adventures, treat yourself to a winetasting trip on the South Island’s northern tip in Marlborough. This region is famous for its sauvignon blanc—and what’s better than a cold glass of crisp white wine on a hot summer night? The Galápagos Marine Reserve is Ecuador’s first national park and a UNESCO World Heritage site. Located near the equator, the Galápagos Islands experience stable warm weather throughout the year. From December through May, the volcanic island chain sees some light rainfall, which actually produces a calmer ocean—better for cruising, scuba diving, and snorkeling. On Santa Cruz, San Cristóbal, Floreana, and Isabela—the only islands inhabited by humans—restaurants and hotel accommodations are simple (one reason why some people opt to explore the archipelago by ship). Still, most travelers don’t visit the Galápagos for a swanky experience; a trip to this archipelago is all about viewing the incredible variety of species that coexist within its ecosystem. 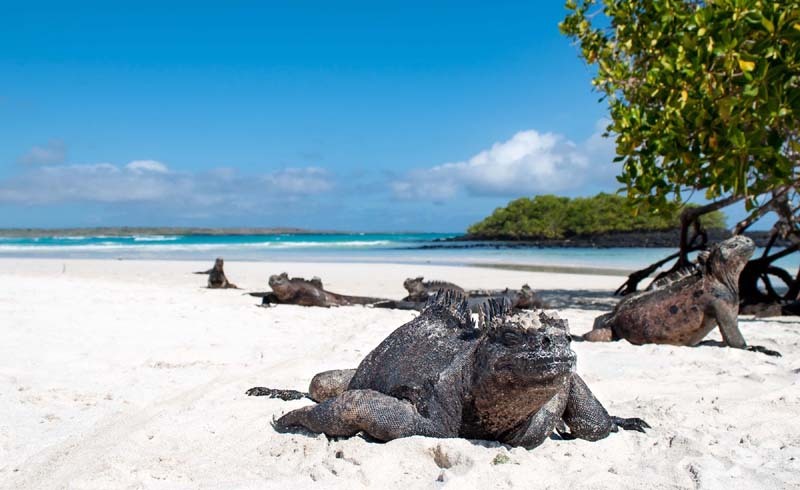 On land, Galápagos tortoises, sea lions, flamingos, and marine iguanas bask casually and comfortably under the sun on white sand beaches and in mangrove forests. But some of the archipelago’s best biodiversity-spotting occurs on the open ocean. Offshore, birds soar above the Pacific and sea lions glide at the water’s surface, both searching for fish to eat. And underwater, a colorful world filled with fish, rays, sharks, and turtles awaits. To explore it, sign up with a local, PADI-certified shop for a day of scuba diving at world-class sites off the coast of islands such as Fernandina and Darwin. For countries in the Southern Hemisphere (such as Australia, pictured above), summer stretches from December through February.